From time to time, I look back to my younger days and ponder how lucky I was to be born when I was. For one thing, I was just in time for the last of major Class I steam operations in this country, in particular on the Norfolk & Western. I caught a bus from Roanoke to Blue Ridge, Va., one hot summer day in 1958 and walked over a dusty hill to a road bridge near the top of the ruling eastbound grade of the N&W main line. After a while, in the distance, a plume of smoke began rising. Slowly it grew closer, and around a curve a mile away heaved a double-headed coal train with a Y6 2-8-8-2 leading an A-Class 2-6-6-4. He couldn’t have been moving more than 10 miles per hour. As he grew closer, the noise became deafening, and as the first stack passed a few feet under me I ran to escape the blasting smoke. I often say that my soul jumped from the bridge that day and caught a 50-year ride in search of steam around the world. First was Canada, where I cleaned up on steam on Montreal commuter trains and lots of rural Ten-Wheelers. Then came Europe, followed by many trips to South Africa stretching from the era of apartheid to Nelson Mandela’s release from prison. There was spectacular mountain railroading in eastern Africa. I cleaned up on steam in Cuba during one ten-day trip, producing some of my best photography. I also made many trips to China over many years, even getting the last of steam at the far western end of the Great Wall. Eastern China was also spectacular with double-headed and even triple-headed 2-10-2s climbing heavy grades in the snow. I spent time in Zimbabwe, which had many Beyer Garratts in steam, and where I took perhaps my greatest steam photo, a Garratt rounding a horseshoe curve with three layers of mountains in the near background. A 30×40″ print of that photo is on the wall over my desk. My last trips in search of steam were to Inner Mongolia, a spectacular stretch of railroad not built until the mid-1990s, but it was all ex-Chinese steam until about 2008. When the diesels arrived there, my 50-year search for steam was over. Luckily, I groove on all forms of railroading, so I still have plenty to do, including this column. I didn’t just take pictures of steam. I did much diesel and electric photography around the world, including Virginian and Milwaukee Road electrics in the mountains, not to mention GG1s and other electrics on the Northeast Corridor between New York and Washington. I take few foreign trips these days. I simply don’t have time. I still do a lot of writing, and I am now at the age when it’s time to get my many decades of negatives and slides organized. My wonderful wife wouldn’t know what to do with them if I didn’t give her detailed instructions. I have already agreed to give the best of them to the Center for Railroad Photography & Art, which will make copies and store them in their archive. 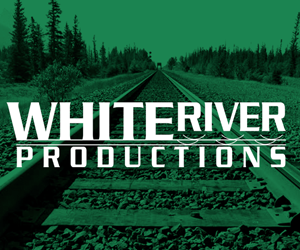 Over the years I have written a tremendous amount professionally about railroading for United Press International, the Washington Post, and the International Herald Tribune in Paris. Those organizations preferred I write about aviation, but I did a lot about railroading too. 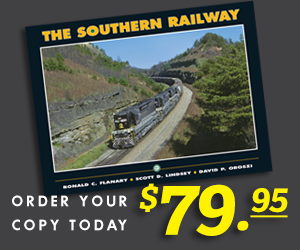 That included the bankruptcy of Penn Central in 1970, the formation of Amtrak in 1971, the birth gestation of Conrail in 1976, and its eventual sale to Norfolk Southern and CSX in 1999. Each of these events shaped the transportation industry in ways that were unthinkable two generations ago. There were heroes in those days. Linda Morgan, chairman of the Surface Transportation Board, used me as a conduit to get word to Conrail management that they could either agree to a fair split between Norfolk Southern and CSX or she would do it herself. That interview appeared in the Washington Post the next day. I was truly happy to be trusted by Ms. Morgan because that interview changed everything, and an equitable split of Conrail did come about. A less tough chairman would have just let the railroads fight it out, and who knows what that would have led to. Another hero was my old friend Jim McClellan, then a vice president at Norfolk Southern, who prevented top management from just letting CSX take over Conrail and give them the leftover dregs. Unfortunately, NS management was not tough in those years, and almost let a strategic opportunity pass them by. My favorite story was a series of stories that appeared in the Washington Post about a tragic wreck on the Northeast Corridor that changed the course of railroading in America. The story of pot-smoking Conrail engineer Ricky Gates and the wreck of Amtrak’s Colonial had so many twists and turns that they were difficult to follow. Gates and his conductor were deadheading Conrail units from Baltimore, Md., to Harrisburg, Pa., with only a handheld radio. At Chase, Md., where four tracks merge into two, with the sun in their eyes and high on marijuana, they failed to see a stop signal until it was too late. The locomotives slid through a switch onto the main line just seconds ahead of the Colonial, which rammed the light engines at a speed of more than 100 miles per hour. Luckily, the first coach on the packed train had been kept empty for loading at Philadelphia, and only 16 people were killed with many more injured. The people of a small community next to the tracks became heroes that day, helping the injured off the train and taking hundreds of passengers into their homes. Gates and his conductor said they threw their drugs over a fence. The recording began just after the wreck and continued for more than 30 minutes. Unfortunately, they must still remain anonymous, but that was the most dramatic story of the wreck. It showed that tower operators and dispatchers took a while to understand how serious the wreck was, then were crestfallen to learn that the Amtrak engineer was dead. Over the next few months, the full story emerged. However, I was never able to find Gates after he left jail. He didn’t want to be found. 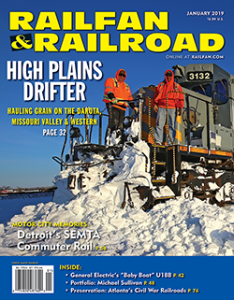 This article appeared in the January 2019 issue of Railfan & Railroad!